Samford’s Howard College of Arts and Sciences is accepting applications for its second annual M.D. Calling summer camp June 23-26, 2013. The inaugural program in summer 2012 led 30 rising high school juniors and seniors deep into what it takes to pursue a medical career. “They met with health professionals, toured a hospital, played medical trivia games, heard from current medical students and got practical advice about the MCAT, potential majors, writing personal statements and interviewing, “said organizer and college Assistant Dean Dana Basinger. 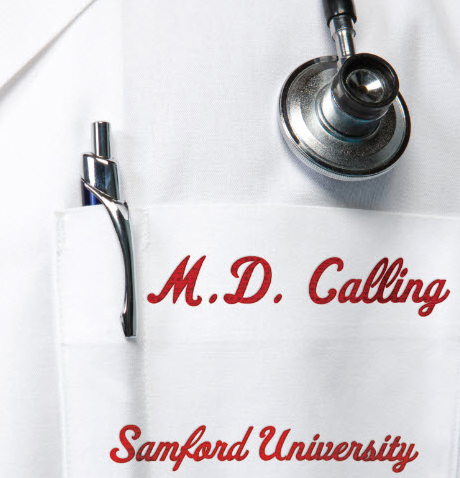 “But,” she added, “the goal of the camp was not simply to prepare students to apply for medical school--it was to discern a calling to the practice of medicine”. Samford pre-med student Brooke Bailey, a counselor for the 2012 program, described a conversation with a female participant that summed up the unique mission of the project. ‘She asked me tons of questions about my own faith and passion for people, and eventually, she began tying together everything we learned from the camp,” Bailey said. “She learned that her passion to work with people in a medically-related way is driven by her faith and love for others”. Basinger said M.D. Calling was so successful in its first year that the program has been enlarged to accommodate 50 students, but she expects the camp to fill quickly. The cost to participate in M.D. Calling $350, which includes tuition, meals, residence and activities. Information and registration can be found online at the Summer Programs website.